One of the major issues I have with the way the streetcar system is currently laid out is that the tracks are right in the middle of the street. This means that pedestrians always board and get off the streetcars right in the middle of oncoming traffic. They have to rely on the diligence of drivers and cyclists to remember to stop behind the streetcars. In the short period of time I've used streetcars, I've seen quite a few near misses when drivers or cyclist forget to stop ahead of time and end up too close to passengers. One solution to this would be to move all the tracks next to the perimeter of the streets near the existing sidewalks. Another one would be to add more sidewalks in the middle of the street just like the ones on College near the Bathurst intersection. It's not ideal, but at least there would be a buffer between the passengers and oncoming traffic. 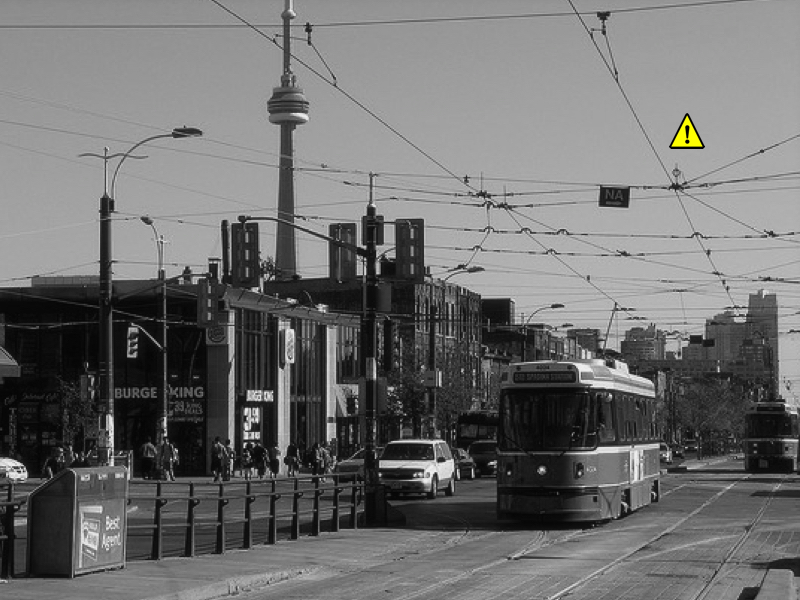 In certain intersections like Dundas and Spadina, the sky is covered with a messy web of electrical wires powering streetcars on both streets. This concept is not visually appealing and does nothing for the beauty of the city (quite the contrary!). Not to mention, the potential issues this concept brings during freezing rain condition. A better solution would be to emulate the design of the Bordeaux tramway or Reim tramway in France with their ground-level power supply system. Instead of being powered by outdated hanging electrical wires, they would be powered through the track system on the ground. The current track system is such a pet peeve of mine. Not only are the tracks ugly, they are dangerous for people wearing heels that can get caught in them and for cyclists who's wheels can also get caught or slip on them as well. I'm pretty sure they're not good for car tires either and probably cause premature wear and tear for the ones who regularly ride along a streetcar route. One way to solve this problem would be to use a System of Electric Transport by Magnetic Attraction like the one in Trieste, Italy. No more wholes on the street! 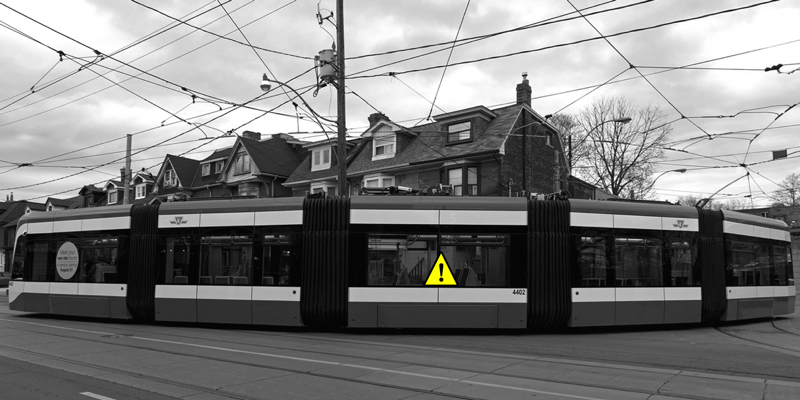 Toronto's streetcars are currently not wheelchair friendly (except for the two new Flexity Outlook), which is not fair to all Torontonians. 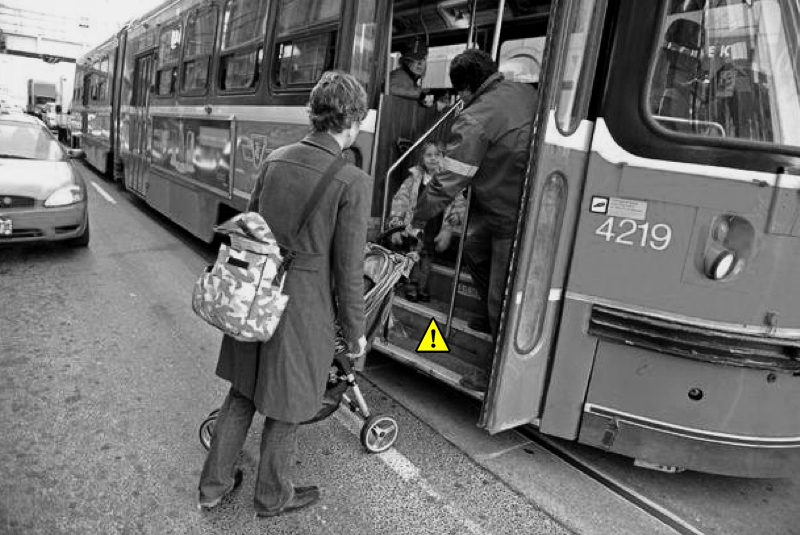 Perhaps refurbishing the current streetcars with the addition of ramps, like the one found in buses would help not only people on wheel chair, but also people with reduced mobility and parents with strollers. 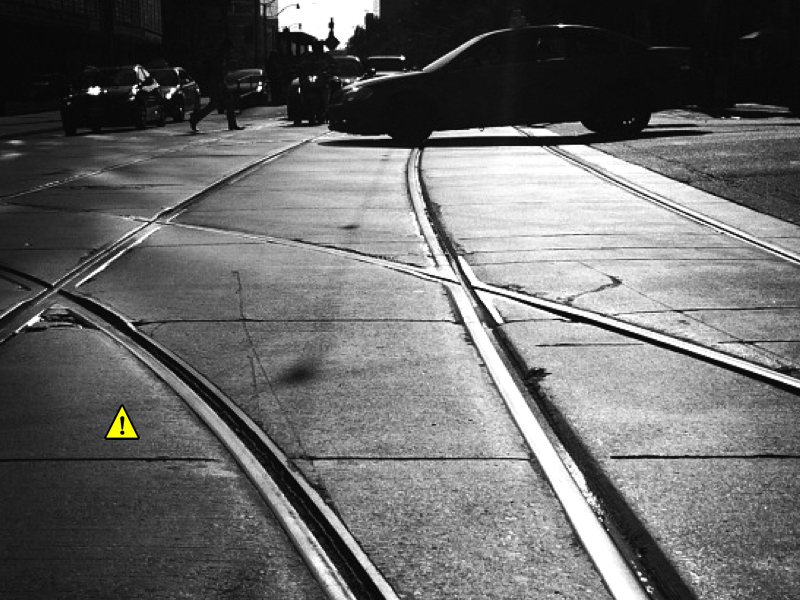 Streetcars can only go in one direction along their tracks. 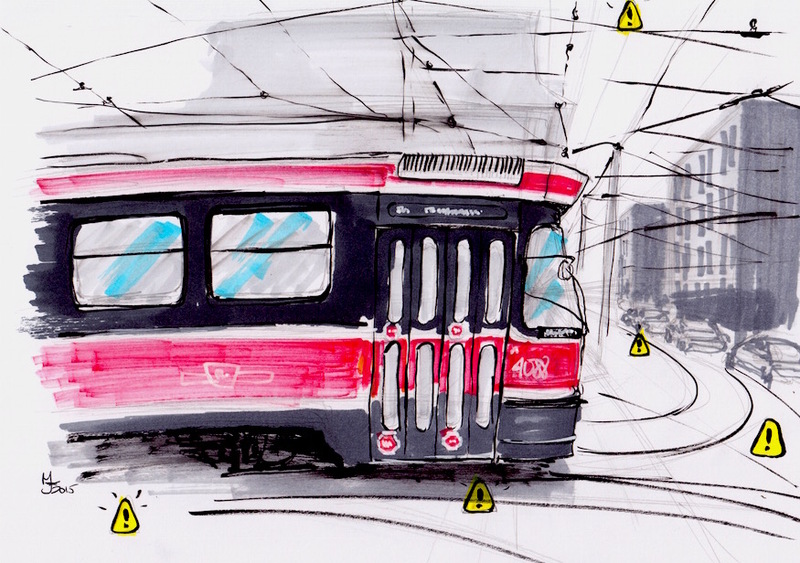 So if there's an obstacle on the track, like a stalled vehicle, the streetcars cannot go around them. They can only stop and wait, therefore increasing traffic. This can be a problem in the case of power failure or an accident. A solution to this would be to replace streetcars with modern electric buses. They offer the exact same advantage of the streetcar without the issue mentioned above. Montreal is planning to start using electric buses this year. Perhaps Toronto should do the same. 6. Do Not Deploy More Flexity Outlooks! I repeat. Do not deploy more Flexity Outlooks. They might look nice and modern but it's only at almost 100 feet long, they will most likely be more of a hassle than anything else. An 18 wheeler is about 70 feet long. Imagine replacing the current streetcars with 18-wheelers with an 30-ft trailer attached to it, roaming the streets of Toronto with limited mobility. Sounds like a traffic nightmare. 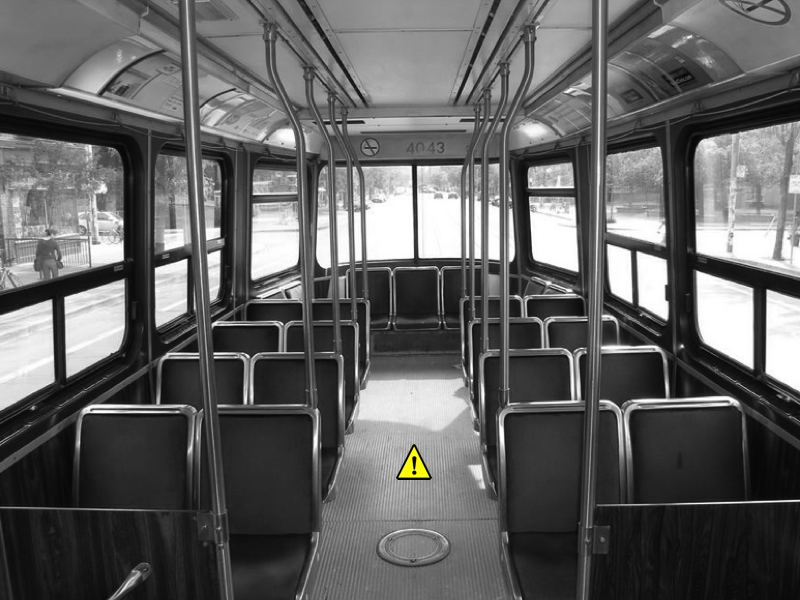 Another frustrating things about the public system transit in Toronto is the fact that the stops are not all clearly marked and very confusing. If you're not familiar with the area, it's like a scavenger hunt for your stop and it's not a fun thing to do at night. There's no consistency in the way they are designed and little to no information as to which bus or streetcar is on that route and which subway station it's connected to. 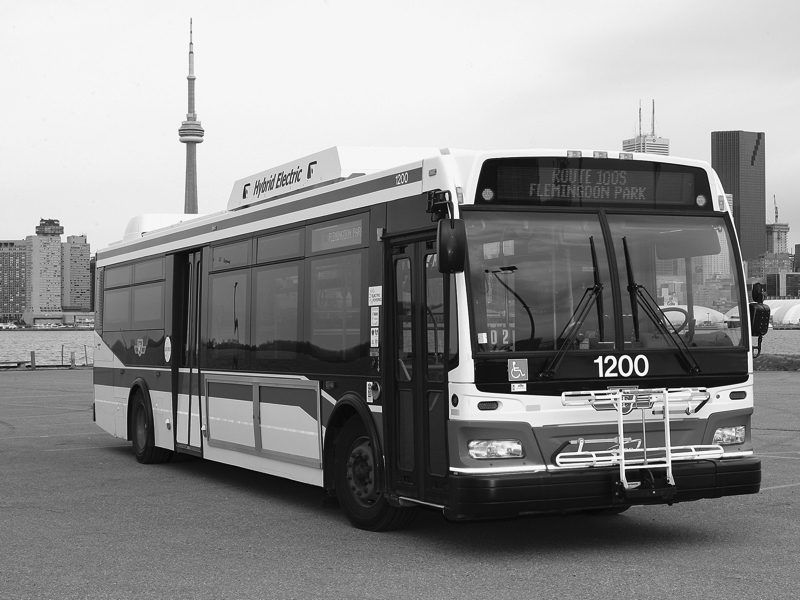 The solution would be to take some clues from place like Mississauga with their clearly visible logo above their poles, a list of bus and their directions. Also, simply painting all the poles bright red would be a good start to help people locate them quickly. I imagine the TTC cleans its streetcars on a regular basis, but they could use some extra cleaning. If it was up to me, I'd implement daily power-washes and I would add a small trashcan in the front. That way people would have a place to throw their garbage as opposed to leaving them on the seats or on the floor. This would make for a more enjoyable ride for everyone. 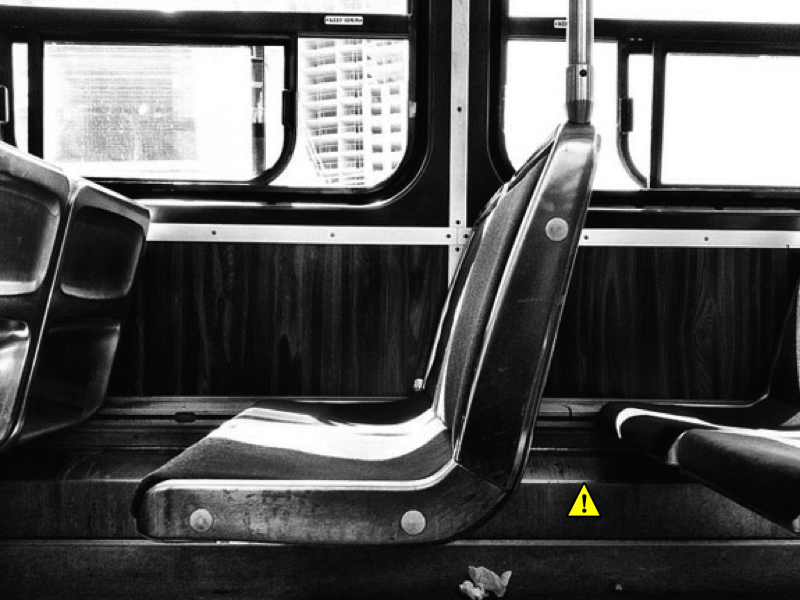 The interiors of streetcars definitely need a makeover. There's nothing modern about tired red velvet seat, faux dark wood panels and dirty vinyl floors. They look tired, they're depressing, they lack vitality. If it was up to me, I'd hire industrial Karim Rashid to come up with something a little more sleek, easy to keep clean and colourful. Not only would it be better for regular passengers, it would also attract tourists and perhaps become a landmark in the city. 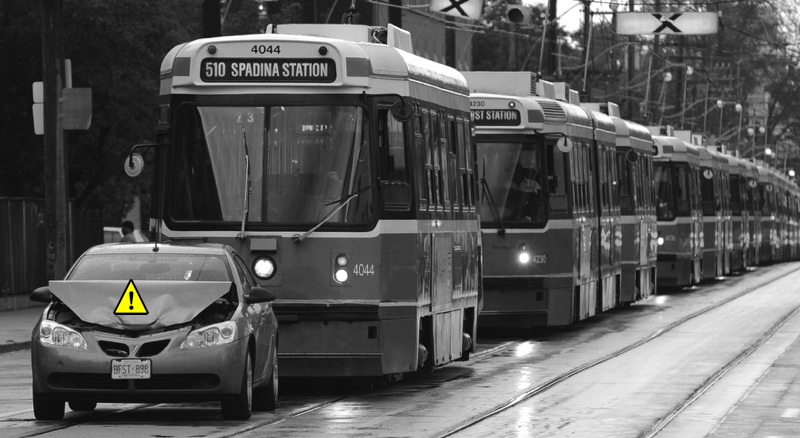 By removing the streetcars from the city streets and redirecting efforts and money toward the better bus and subway car, a lot of the issues mentioned above would be solved at a much lower cost by simply getting rid of streetcars altogether. 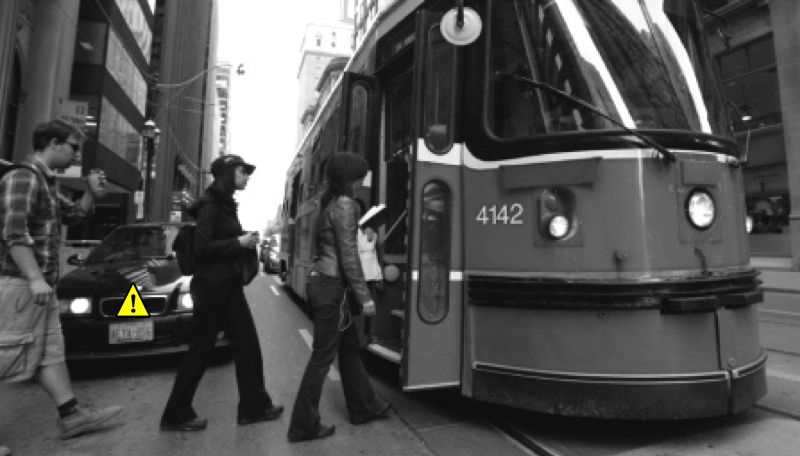 Removing streetcars would also increase the amount of available space on the streets and perhaps allow for wider sidewalks more trees and better designed bike lanes.